Fall is a very enjoyable time of year. The leaves on trees are changing colors, there’s a cool chill in the air and there is a nice calming period when the air conditioning is off and the heat has yet to be turned on. 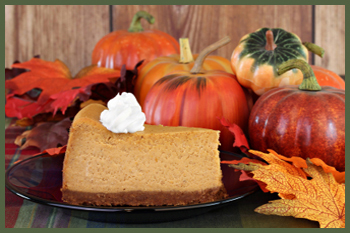 The fall is also a symbol of tasty dessert recipes. Spices like cinnamon and flavors like pumpkin start making their way into the foods we eat, providing us with a tasty and warm sensation. If you enjoy a nice dessert on a cool fall evening, the following are four of the best recipes for you to try. Nothing says fall like the taste of pumpkin-flavored cheesecake. Dry out the puree by placing it on a baking rack lined with paper towels for two hours. Place graham crackers, brown sugar and pecans in food processor and pulse until fine. Add in melted butter and continue to pulse until all butter has been mixed in. Press the mixture tightly into the bottom of the pan. Bake for eight minutes. In a separate bowl, whisk sugar, cinnamon, cloves, nutmeg and allspice. Add spices to cream cheese and beat until creamy. Add pumpkin and beat until smooth. Add in the eggs. Once they’e mixed in, add in the cream and vanilla until entire mixture is smooth. Place mixture into cooled crust. Lower oven temperature to 225 degrees. Let cheesecake cool and refrigerate for at least 8 hours. Press the mixture tightly into the bottom of the pan. Once they’re mixed in, add in the cream and vanilla until entire mixture is smooth. We already shared pumpkin cheesecake. Why not throw in some pumpkin cookies? Whisk flour, baking soda, pumpkin pie spice and baking powder in a small bowl. Beat in butter and sugar until fluffy. Place a spoonful of batter onto the baking sheet, about 1 inch apart. Add in cubed butter until coarse. Sprinkle vinegar and ice water and process until moist. Place mixture on wax paper and knead until combined. Place in a bag and refrigerate for 15 minutes. Place parchment paper on 9×13 baking dish. Place dough on bottom of baking dish, covering the side. Bake dough for 12 minutes. Place butter, brown sugar and honey in saucepan and cook until thick and foamy. Add pecans and cook for another 2 minutes. Place mixture over crust and bake for 15 minutes. Nutella plus pound cake sounds like heaven. And it is. Whisk flour and baking powder in a medium bowl. Place 1/3 of batter into pan. Place 1/2 Nutella on top. Place another 1/3 of batter on top followed by remaining Nutella then remaining batter. Caroline Jones loves cooking and baking. 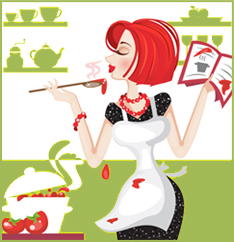 She enjoys blogging and fun and easy recipes using cashews and pecan nuts.